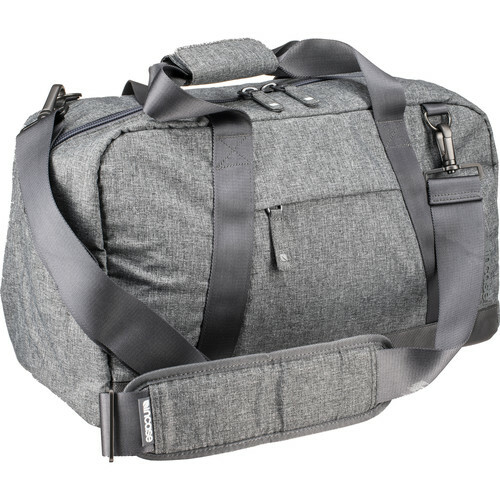 Pack your gear, personal items, and laptop for a trip across town or an overnight excursion with the heather gray EO Travel Duffel from Incase. This attractive 35L duffel features a zippered padded sleeve for a 15" MacBook, an exterior zip pocket for your phone or wallet, and a spacious, dual-zip, main compartment. Carry the duffel with the dual connecting strap handles, or wear it with the removable padded shoulder strap. Box Dimensions (LxWxH) 21.0 x 10.25 x 2.5"